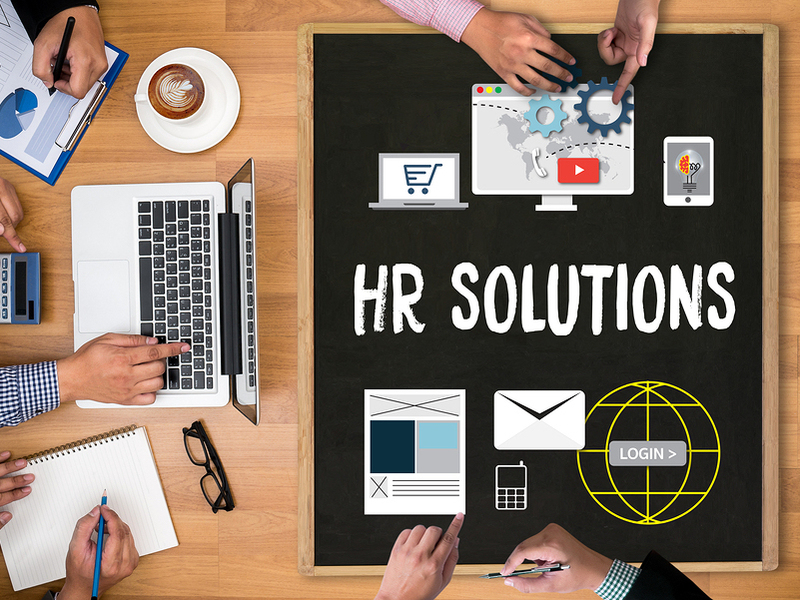 WorkforceHUB is a one-stop source for payroll, applicant tracking and HR-related information. 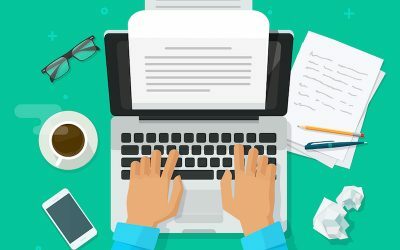 Employees get the information they need through a single portal, saving time and reducing errors or miscommunication. Managers add structure to labor management, including recruiting, hiring and onboarding. 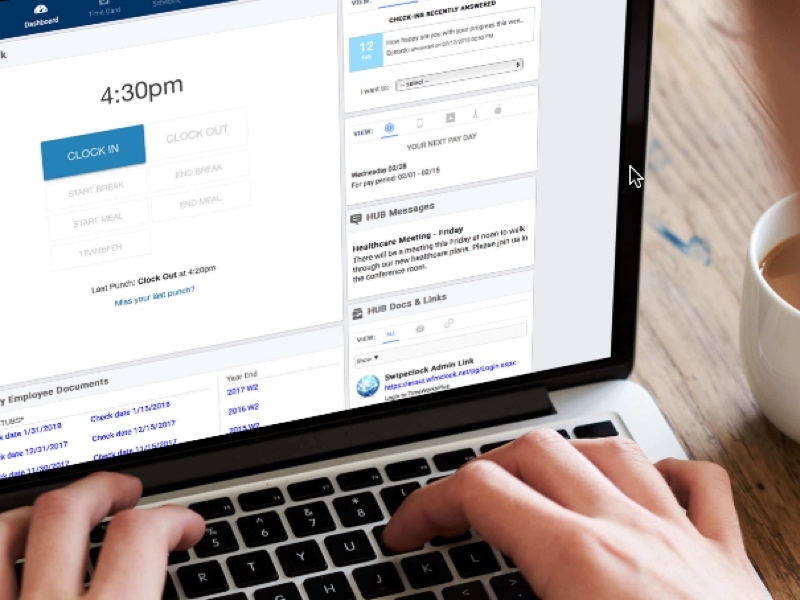 With a single sign on, employees can see a company directory, message board, birthday list, alerts and more. Access the portal using smartphones, tablets or other web-connected devices. 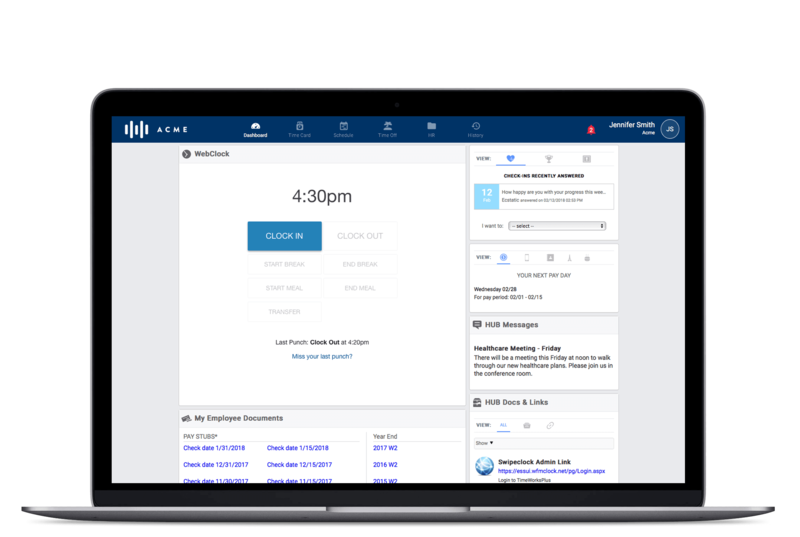 Dramatically improve administrative productivity by changing how business owners and managers recruit, hire and manage their labor force with WorkforceHUB. 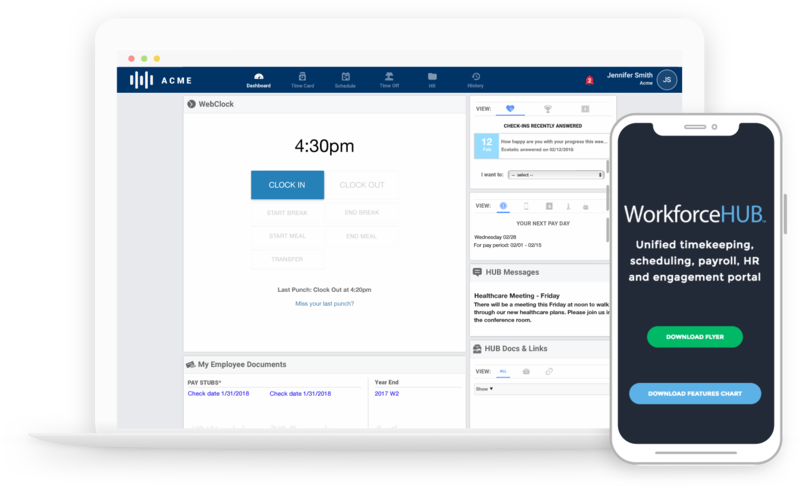 Now employers can streamline the hiring process, employee onboarding, benefits enrollment and day to day tasks like timekeeping and scheduling, all while improving compliance and saving time. The lives of business owners have never been easier.